"After my second session of writing workshops with Key Stage 2 pupils, a problem started to become apparent with the whole idea. The children – all between 8 and 11 years old – had been charged with writing all the copy for an 8-page tabloid newspaper and while a lot of progress had been made, there were huge holes in the project. For one thing, there simply wasn’t the volume of material that was needed. Things had to change." "Fortunately, as the weeks passed, it became clear that the challenges that remained contained within them the seeds of their own solution. While not every child had contributed something that would fit within the paper, it was decided to get them to try a different kind of writing that could exist in a space dedicated to it. The teacher was asked if she could get the children to contribute two or three bite-sized amazing facts for every planet in the solar system. These would be compiled into an infographic for the centre spread - a pull-out poster, in effect. 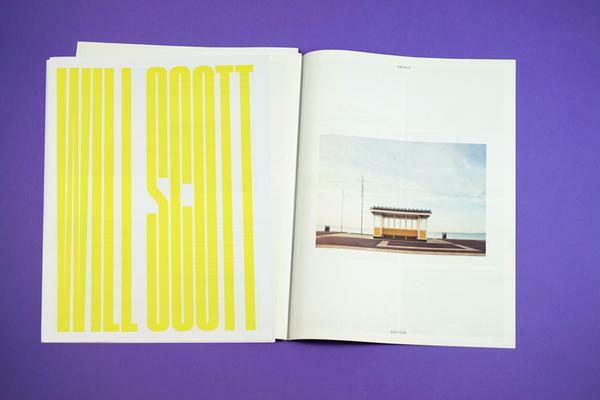 The copy that came back was excellent, focussed copy, everyone had contributed something and two pages could be laid out in a funky, interesting way." "Copy started coming in from another class in the school. 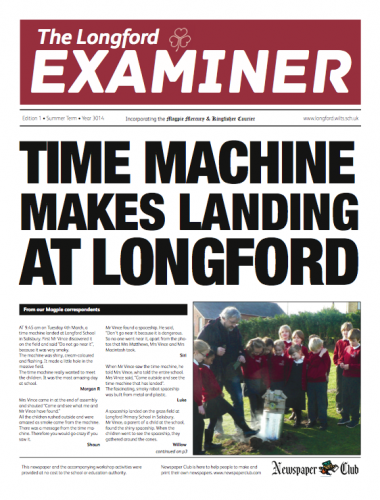 Key Stage 1 pupils supplied me with recounts – essentially newspaper reports – of the event that kicked off the workshop, the staged ‘landing’ of a small, home-made ‘time machine’ in the school field. These were all essentially the same story, with individual elaborations written of different details along the way. The trick was to get as many of these stories in print as possible, so it was run as a newspaper story, complete with captioned picture and screamer headline, but sub-divided into a kind of eye-witness vox-pops-in-print, enabling everyone to have a shout." "In the end, all but the very youngest children had a piece in their own school newspaper and every child could take a copy home. The school gained not only a set of interesting challenges that could drive pupil engagement and a stack of left-over newspapers to show prospective parents, but a PR opportunity in the local newspaper. The writer, meanwhile, found new ways of working, a thoroughly fulfilling and worthwhile project and inspiration from some of the most imaginative minds on the planet." Get in touch with a writer, journalist or editor. In particular, find out if there is one among the mums and dads or on the governing body. 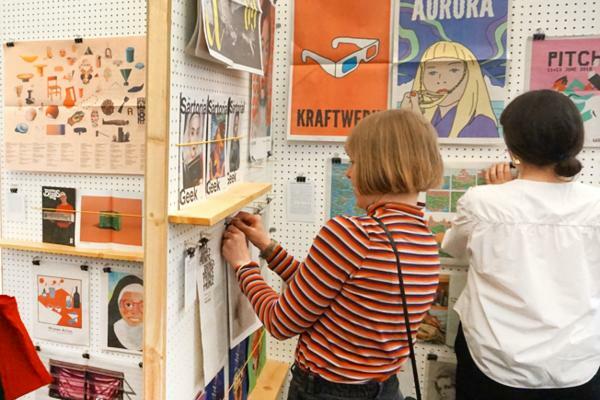 You don’t even need to find a writer with design experience as Newspaper Club’s online ARTHR layout tool gives you everything you need to get the children’s words and pictures into print. Thanks very much to Ian Vince for sharing his experience. 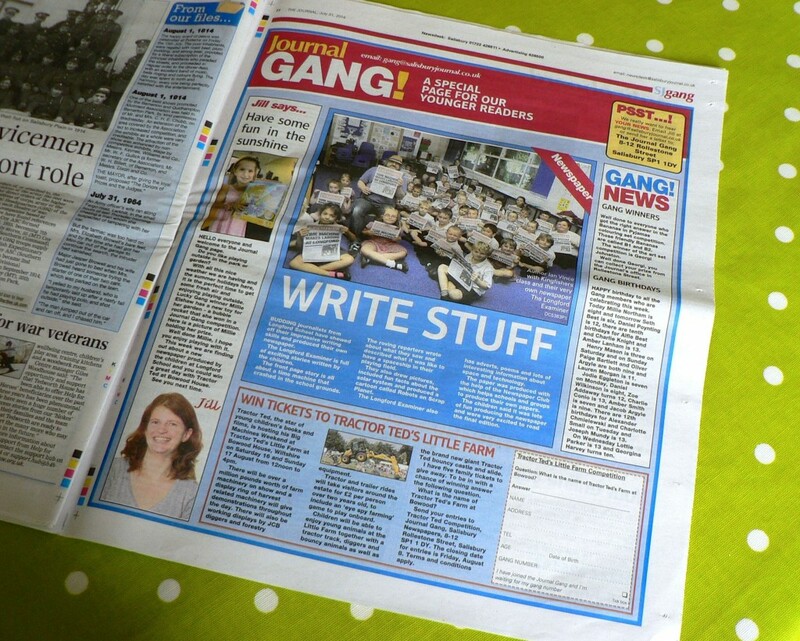 If you're thinking about creating a newspaper for your school, read about how it works and have a look through The Newsagent for some design inspiration. 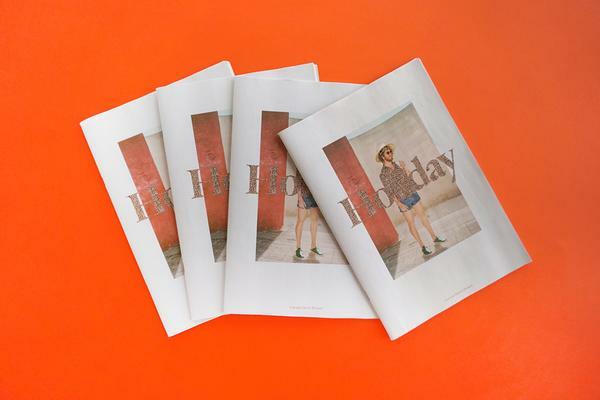 You can also get in touch with us at support@newspaperclub.com if you have any questions about the process.